Do you know that most travel insurance do not cover pre-existing medical conditions? This exclusion is usually mentioned in the 10-20 page detailed policy wording document (which most people don’t read) or in fine print on the travel insurance brochure. This means that if you fall ill overseas and this illness is caused by a pre-existing medical condition as determined by your attending doctor, you will need to pay for your own medical expenses (which can be very expensive in some countries like the States) or worse, emergency medical evacuation expenses (which can go up to tens of thousands) if you need to be evacuated back to Singapore for better quality medical care. I know of a case of a student who was travelling in Vietnam when she suddenly came down with abdominal pain and vomited profusely during the trip. She had bought travel insurance but unfortunately her illness was diagnosed by the doctor as a pre-existing medical condition – gastroenteritis and ulcerative colitis (a form of inflammatory bowel disease). At the end of the day, her total medical expenses of more than S$3,000 were not claimable as her travel insurance plan did not offer coverage for pre-existing medical conditions. This can be quite frustrating especially when you thought you were well covered from purchasing a travel insurance plan only to be hit with a nasty surprise that it was all for nothing and your claims which you are so hopeful of claiming got rejected due to your pre-existing medical condition. Thankfully, NTUC Income has introduced the Enhanced PreX Travel Insurance Plan which gives travellers with pre-existing medical conditions the protection they need when they travel overseas. 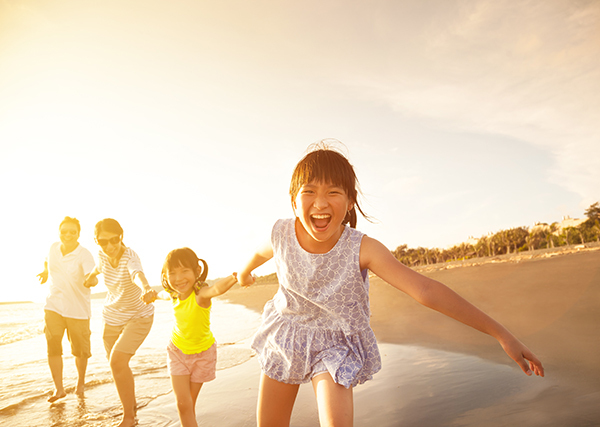 NTUC Income is the first insurer in Singapore to offer travel insurance coverage for travellers with pre-existing medical conditions while overseas. The Enhanced PreX Travel Insurance Plan covers medical and evacuation expenses (two of the most costly and important items) and has no age limit imposed. This is perfect if you are planning for a family trip where you will be bringing along young children and the elderly. NTUC Income accepts most pre-existing medical conditions, be it mild, moderate or severe – children suffering from asthma can be covered, elderly with medical conditions that come with age e.g. high blood pressure or heart disease, can also be covered. 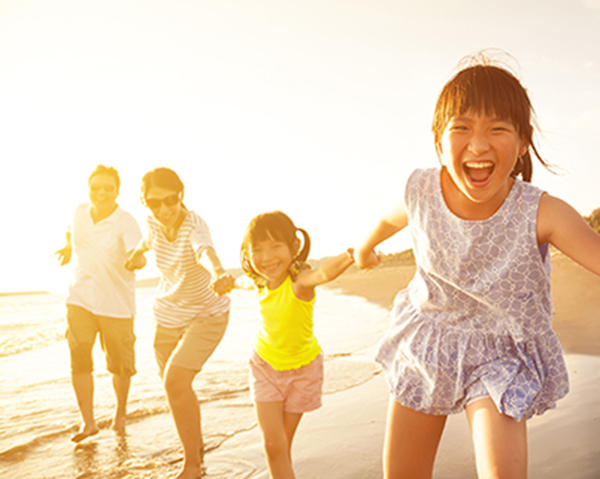 With big family trips especially those involving multi-generations, trip planning like where to go and what to eat is already a big headache – at least with NTUC Income Enhanced PreX Plan, you know that everyone can be covered with a suitable travel insurance plan and be protected against any hefty hospitalisation bills (*touch wood*) that may be incurred while travelling overseas. The Enhanced PreX Travel Insurance Plan is not very much more expensive as – the premium for an adult travelling to Asia for five days is S$68. This is S$14 more than NTUC Income’s Deluxe Plan at S$54. For a child, the difference is S$9.50. A 15-day trip to the United States is S$169, S$34 more than NTUC Income’s Deluxe Plan for an adult and S$23.25 more than the Deluxe Plan for a child. This additional premium for the Enhanced PreX Travel Insurance Plan is a small price to pay compared to the peace of mind you will get when travelling with a pre-existing medical condition. Another case I heard of is that of a 68-year old elderly man with a pre-existing medical condition of high blood pressure and a previous history of stroke 5 to 6 years ago. He was travelling in Vietnam when he suddenly experience facial paralysis, slurred speech and paralysis of the left side of the body. He was diagnosed to have stroke when admitted to the hospital in Vietnam and was subsequently evacuated to Singapore by air ambulance the next day as the hospital was unable to provide him the care he needed. Because he was covered by the Enhanced PreX Travel Insurance Plan, his medical evacuation expenses amounting to S$45,797 was covered by NTUC Income! There are of course terms and conditions with any insurance policy but NTUC Income is at least upfront about it – you need to know that the Enhanced PreX Travel Insurance Plan is aimed at offering protection against huge additional medical expenses and hence it is designed to cover things like medical expenses, emergency medical evacuation, cost to send you home (repatriation of bodily remains) and emergency phone charges, where there could possibly be hefty bills chalked up unexpectedly while travelling overseas. If you are planning for a much longer trip, you should know that the coverage period for Enhanced PreX plan is shorter than the Deluxe and Classic plans. With the new Enhanced PreX plan, holiday-makers can receive a maximum coverage of 30 days for short trips. The current Deluxe and Classic plans offer travellers coverage for an extended period of 180 days for similar short trips. Enjoy peace of mind when you’re on a holiday with the Enhanced PreX Travel Insurance Plan. Find out more about NTUC Income Enhanced PreX Travel Insurance Plan at www.income.com.sg or call 67881222. My dad is 83 years old. He is going to Melbourne to stay for 3 months with me. He has pre-condition of high blood pressure. How much will b the premium for preX travel insurance plan? If the preexisting conditions medical and evacuation cost Us $50000, does it means NTUC will pay all or only certain percentage of the cost?